About Color and Music – Constable BV. In 1999 John Gage wrote the book Color and Culture, Practice and Meaning from Antiquity to Abstraction. The book explains the way people “think/sense” about Color in History. I use the word think/sense because I believe there are many ways to look and a one of them is “to Look by Thinking“. The Science that is trying to explain this phenomenon is called Phenomenology. I know this sounds strange to you but there are many examples to prove that people don’t see something because their theory about the world is not able to explain what they are seeing. A very remarkable researcher who has discovered many phenomena is the Dutch Psychiatrist Jan Hendrik van den Berg . I read his books when I was a student at the University. 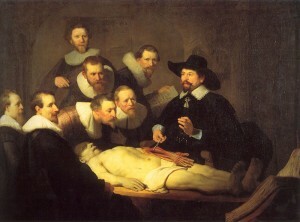 One of his books called the Opened Body (Het geopende Lichaam 1959) is about the History of Anatomy. In this book he shows that it took a very long time before it was accepted that the Heart was divided into two Chambers. Until that time The Heart was a Whole. Long after the discovery of the two independent circulatory systems by William Harvey the heart was pierced (!) to show the interconnection between the chambers that was not there. The Old Scientists simply adjusted reality to their theory and nobody complained about that. John Cage shows the same things again and again. 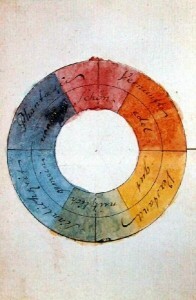 He shows that the experience of Colors changed because artists started to use pigments. A Color became a mix of Basic colors. Colors changed into Parts that could be Combined. 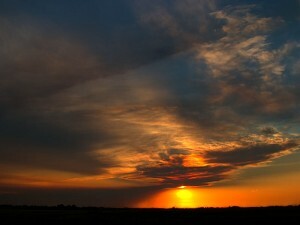 At this moment almost nobody understands that Colors change by the influence of other Colors in their environment. Before that time Color was a Field. 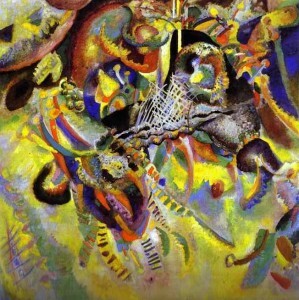 Colors (and Images) were created by adding Layers. When you see Colors as a Field you understand why Colors are influenced by other Colors. They look like Music and produce Overtones. The strange thing is that when you start to experiment with Colors by doing a course in Painting (I did) you recognize immediately that there is something wrong with you’re Think/Sensing-system. When you Paint with your Mind you will never create what you See. You have to Look without Thinking. Imagine John Cage, Jan Van Den Berg, Husserl and Heidegger and many others are Right. There are many simple experiments to prove their point. When you want to do a very simple experiment just do what Goethe did. He wrote a book called Color Theory that contains all his experiments. Goethe used the German word “Schauen” to explain the difference between Seeing with the Mind and Seeing with the Intuition or the Consciousness. You could translate “Schauen” in “Carefull Observation“. If they are Right you could try to remove your Thinking (your theory about the outside world) when you Observe with Care. If you do this you’re world will change. You will see Colors and Overtones in your Environment you have never seen before. The World will look much brighter.